West Town. Headboard wall wallpaper installation. 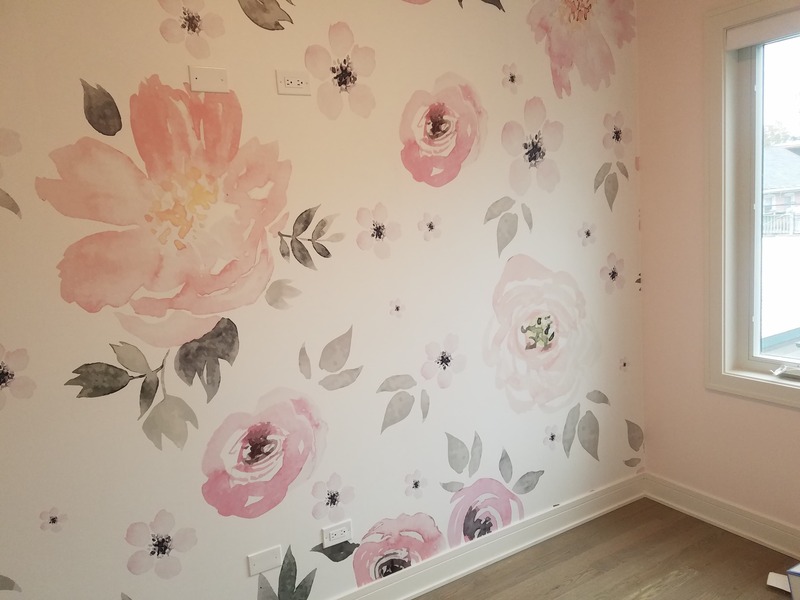 Scope of work: repair drywall damages, stress cracks, nail holes etc, prime repaired areas, paint three walls with Benjamin Moore regal matte paint, headboard wall: prime the wall with Roman RX35 clear adhesive primer, install wallpaper provided by customer. Scope of work: Repair drywall damages, Paint the trims with Sherwin Williams white semi-gloss Emerald paint. Two coats, Prime the wall with wallpaper primer to promote adhesion and ease wallpaper adjustment, Install / hang wallpaper.